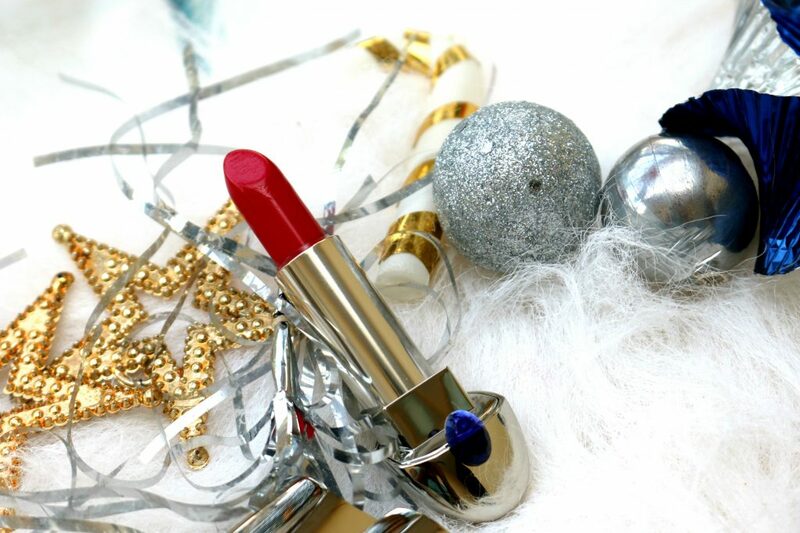 Holiday season is one of my favorite time in the whole year. I love the limited edition collection that every brand launches at this time. 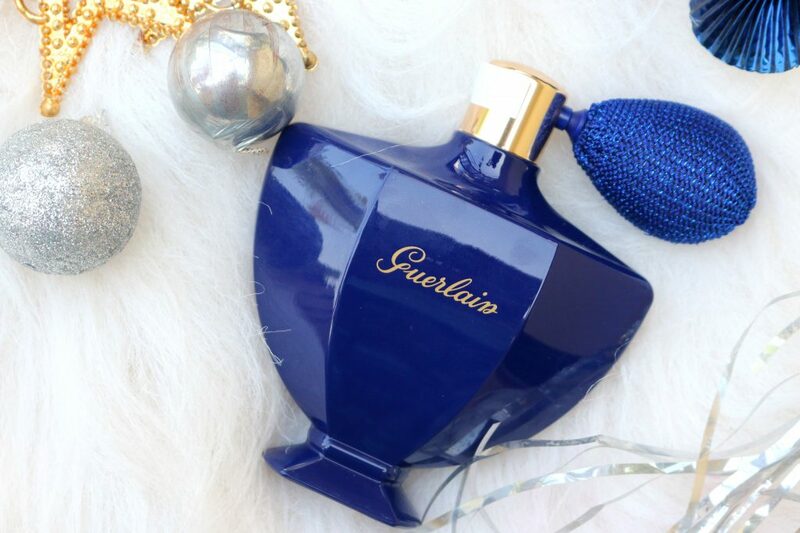 Let me start this year’s Christmas Gift Ideas/Countdown to Christmas post by talking about this gorgeous collection from Guerlain. 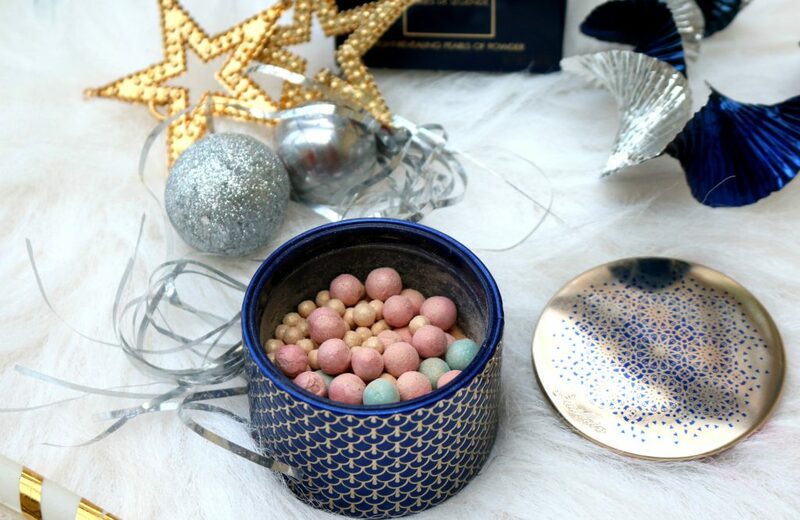 This holiday season, Guerlain invites you on a unique journey into the heart of the East with an eight-piece makeup collection. 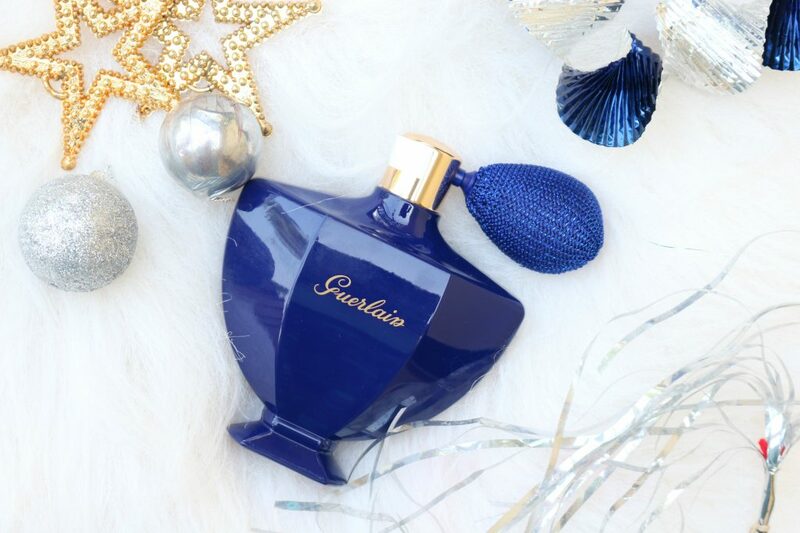 Guerlain Shalimar Collection is created by Shalimar face & muse Natalia Vodianova in collaboration with the house’s Creative Director, Olivier Echaudemaison — drawing inspiration from Imperial India and one of greatest love stories of all time, Shah Jahan and Mumtaz Mahal. When Mumtaz passed away, the grief-stricken Shah Jahan dedicated one last homage to her: by the creation of one of the seven wonders of the world, the Taj Mahal. 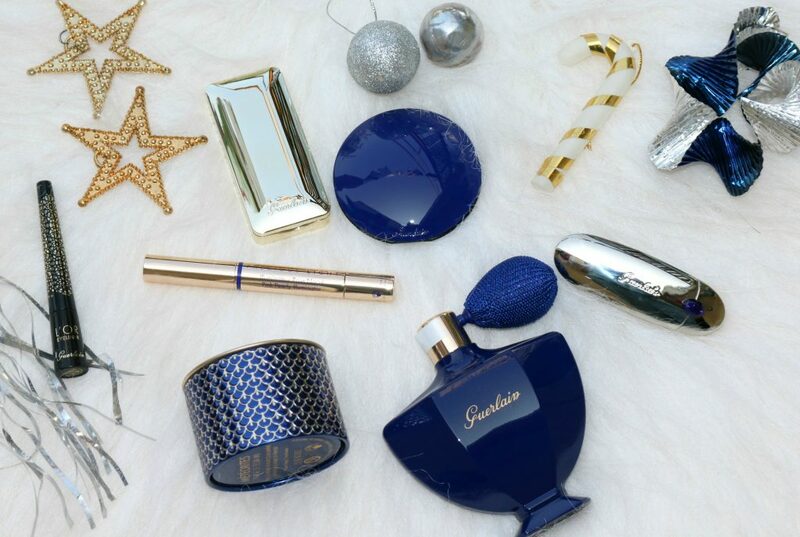 The collection includes a new Shalimar iridescent spray for Body and Hair powder, plus Guerlain must-have’s for achieving the perfect holiday party looks. 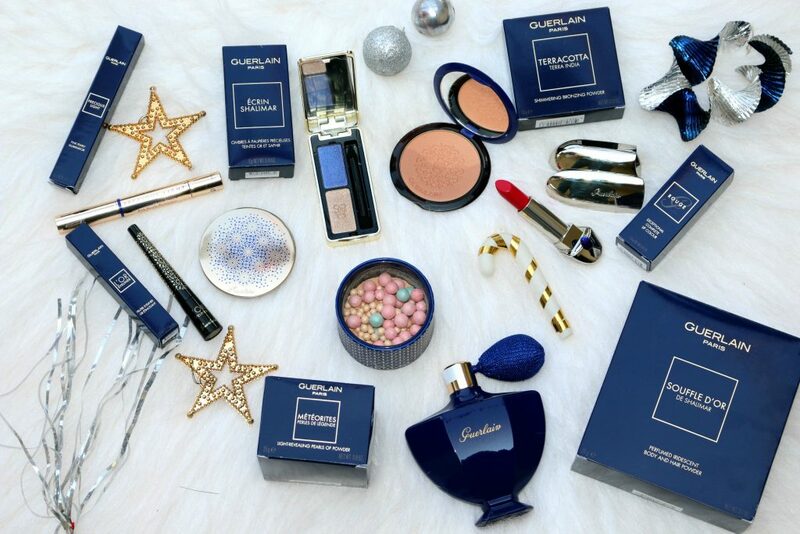 I received seven products from this collection and I’m so grateful to Guerlain PR team for each and every product. 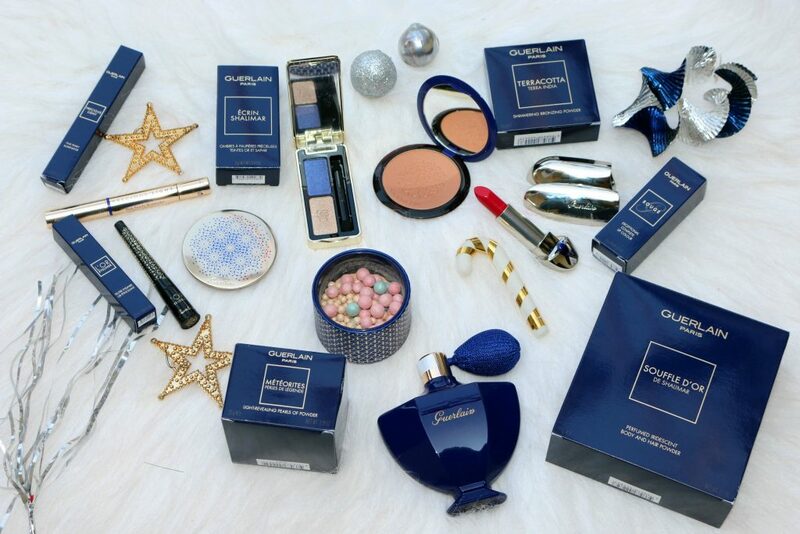 This collection is breathtakingly beautiful, right from the packaging to the colors, textures, quality, longevity, pigmentation etc; These are one of the most beautiful collection of make-up products that I have ever seen. 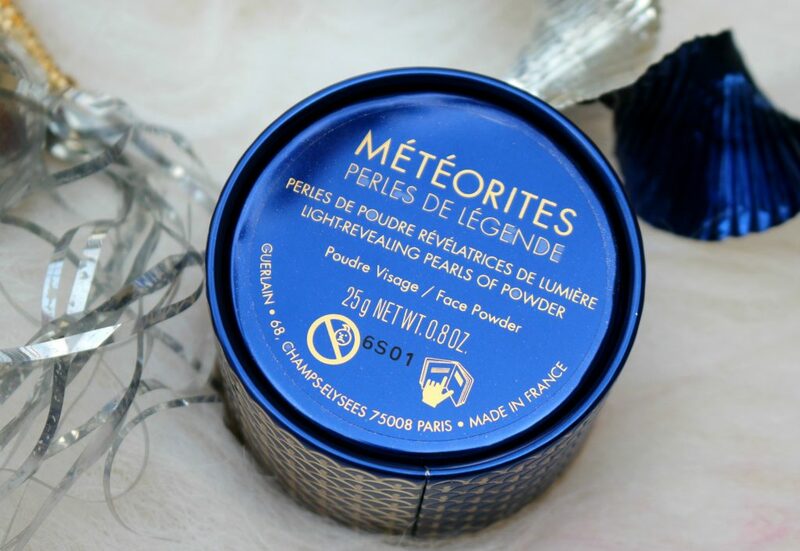 Perfumed iridescent powder for hair & body – An enhancing gold powder with the legendary Shalimar Souffle de Parfum fragrance. 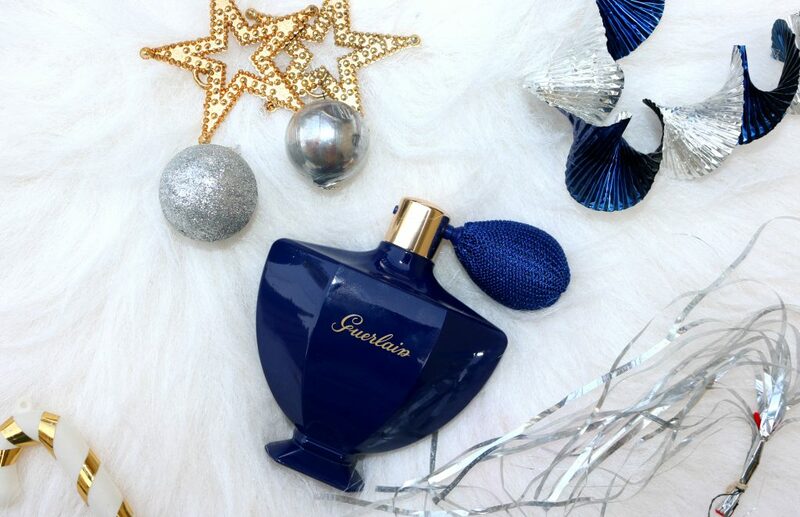 Guerlain Souffle D’Or De Shalimar comes in this deeper blue Guerlain bottle with a blue atomizer. 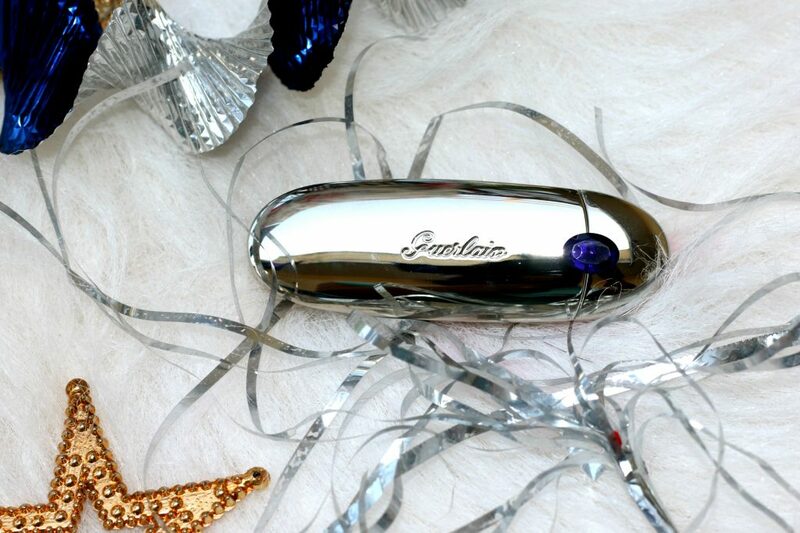 Inside is an extra-fine pearly loose powder subtly perfumed with Shalimar Souffle de Parfum notes: bergamot, orange blossom and vanilla. Apply to face, hair, body and décolleté for a subtle golden highlight. 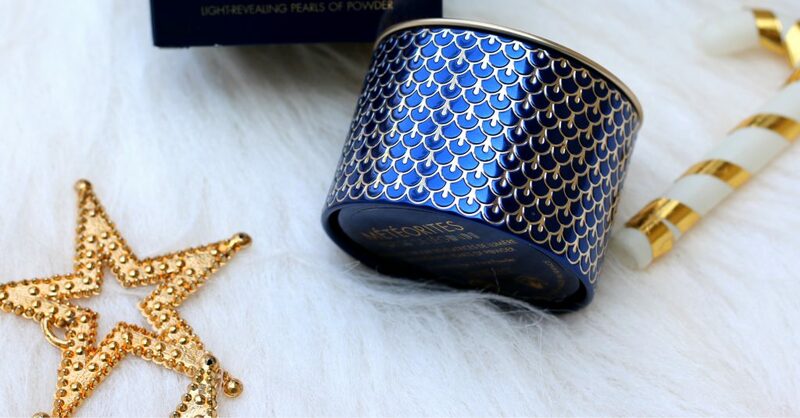 This fine, shimmering gold powder for body and hair is subtly perfumed with the vanilla, bergamot and orange blossom notes found in Shalimar Souffle de Parfum. 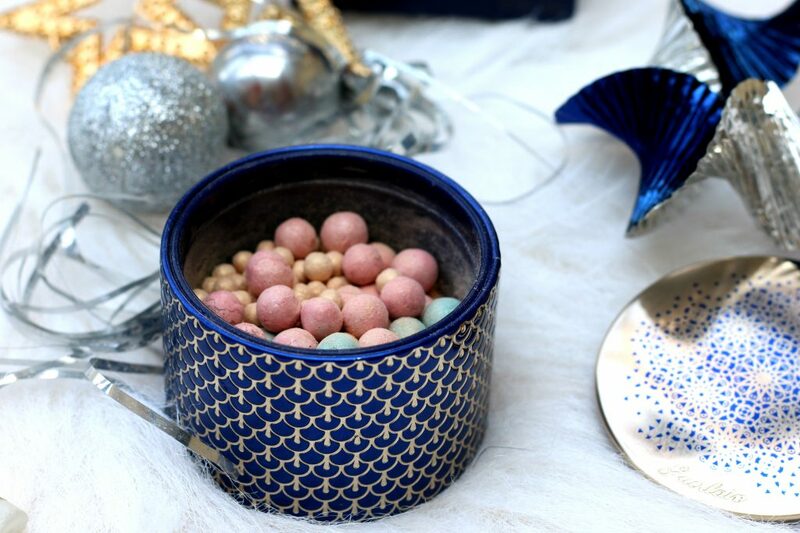 One soft press of the bulb releases the loose, iridescent gold powder, along with a rush of aromatic scent. 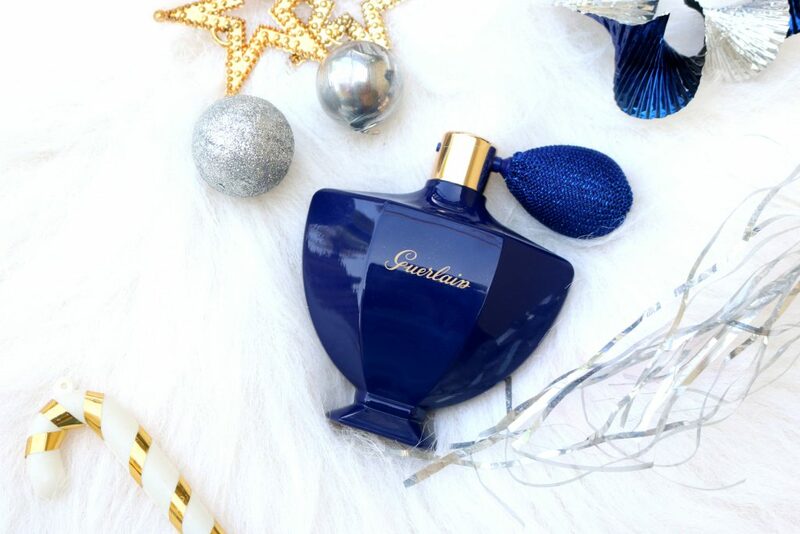 The powder is housed in a reinterpretation of the world-famous Shalimar fragrance bottle. I didn’t try it on my hair. But on my hands and legs , I loved it. It isn’t like the chunk of glitters. 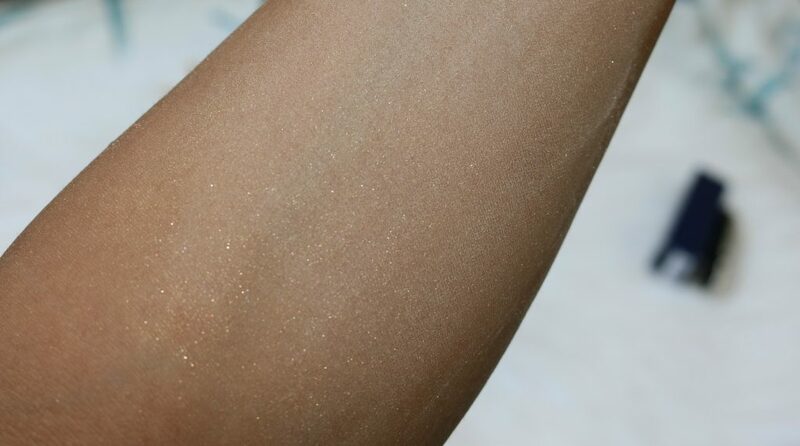 The soft shimmering gold powder feels really fresh and soft on skin. Use a brush to apply evenly to the entire face to fix make-up and improve hold. 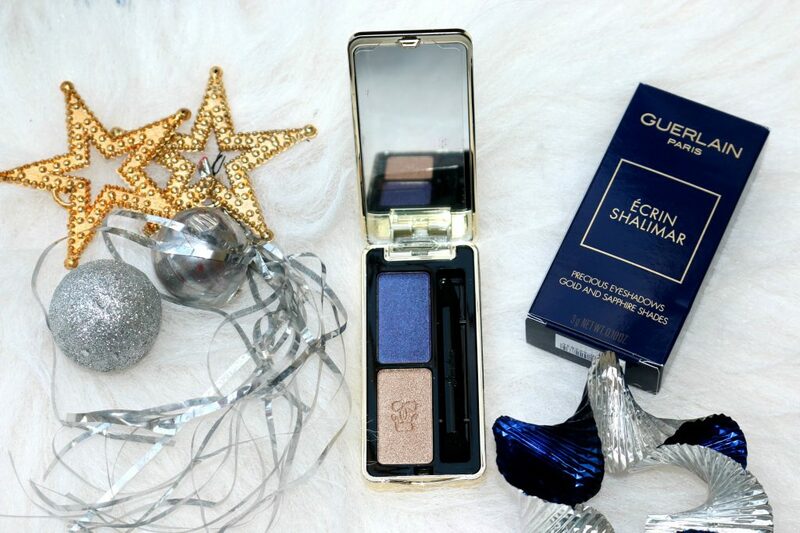 I totally adore the packaging. 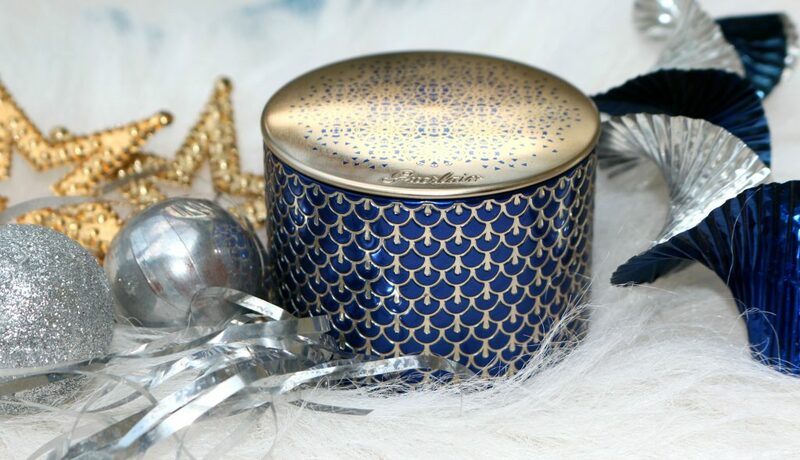 See, all the minute detailing.The silvery, deep blue packaging with gold accents is truly stunning and different from other brand’s typical holiday collections. 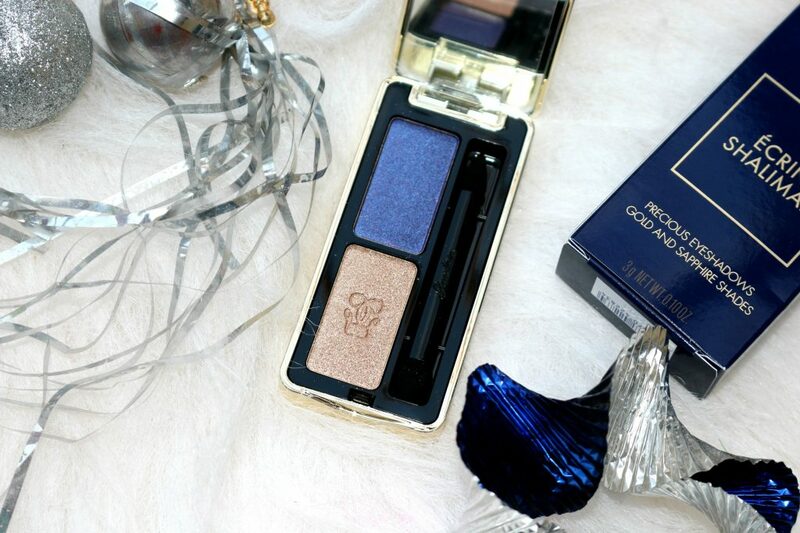 This gold, deep blue reminds me of Indian palaces. So lovely. 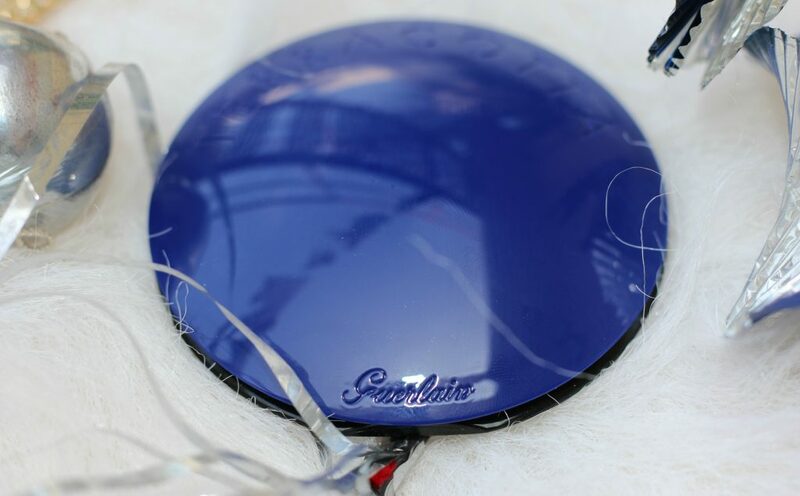 Stardust Technology : A light-creating polymer with celestial powder at its heart that transforms light invisible to the naked eye into a perfecting halo that blurs wrinkles and imperfections. Light-correcting Nacres : Harmoniously blend together to create a pure and correcting light for perfectly tailored luminosity. 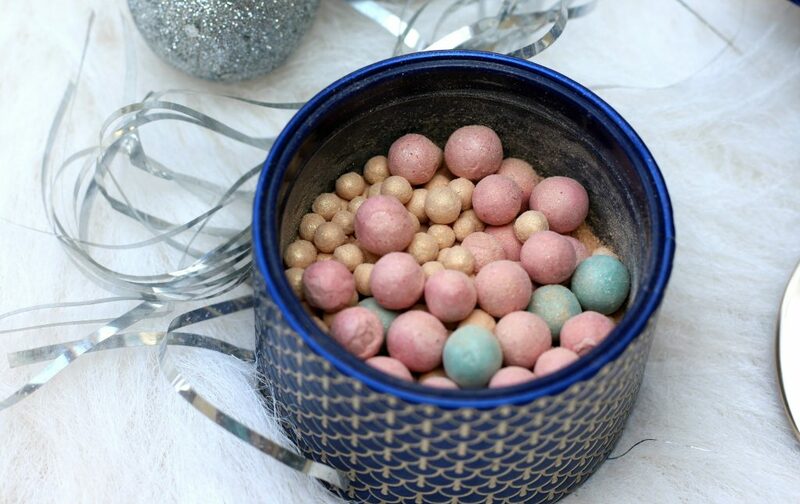 Extra-soft Powder : Contributes to smooth the complexion and create a unique feeling of softness. 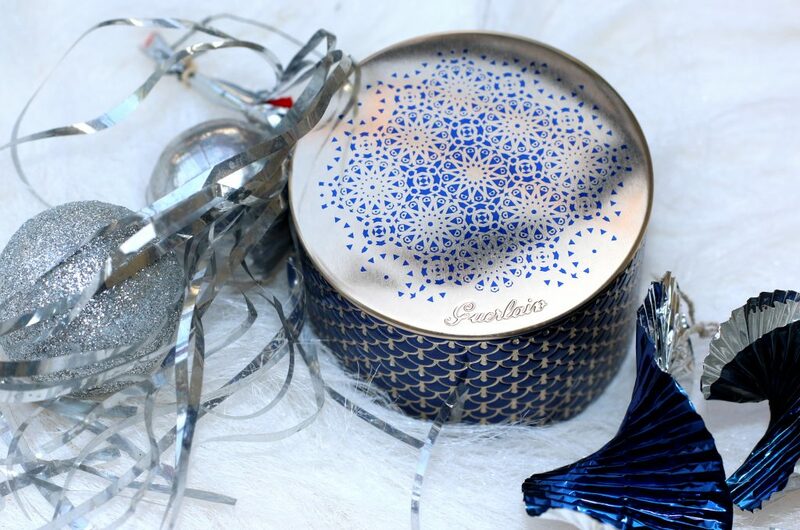 Do you know – Specifically for this limited edition, Natalia Vodianova has imagined a new precious case for the Météorites Perles de Légende: a blue and gold design reflecting the colours of Indian jewel cases. 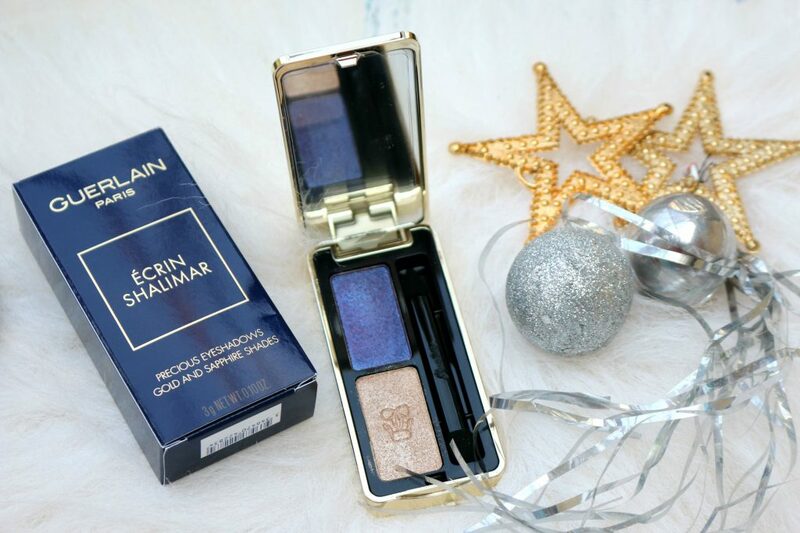 L’Ecrin Shalimar, an exclusive shimmery eyeshadow duo for an unforgettable smoky look for Christmas. 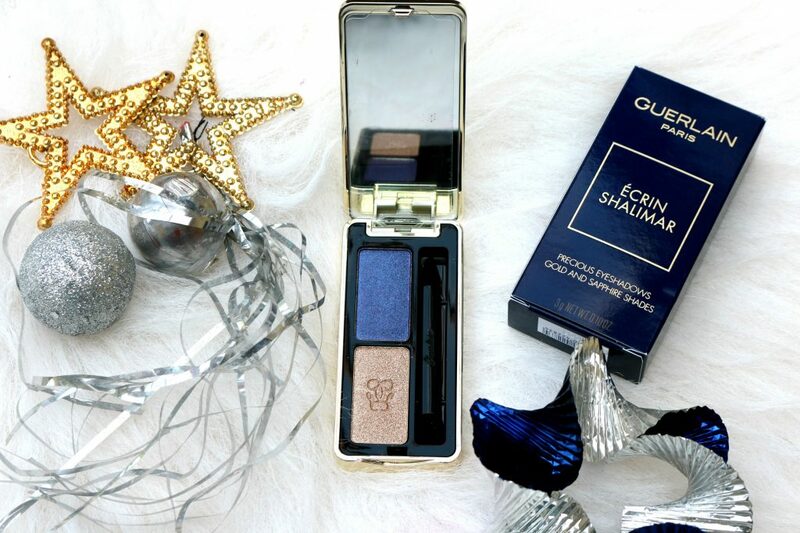 Inspired by gold and sapphire Indian jewels, this Oriental edition of the eyeshadow duo from Guerlain offers 2 precious shades, with multiple metallic reflections. 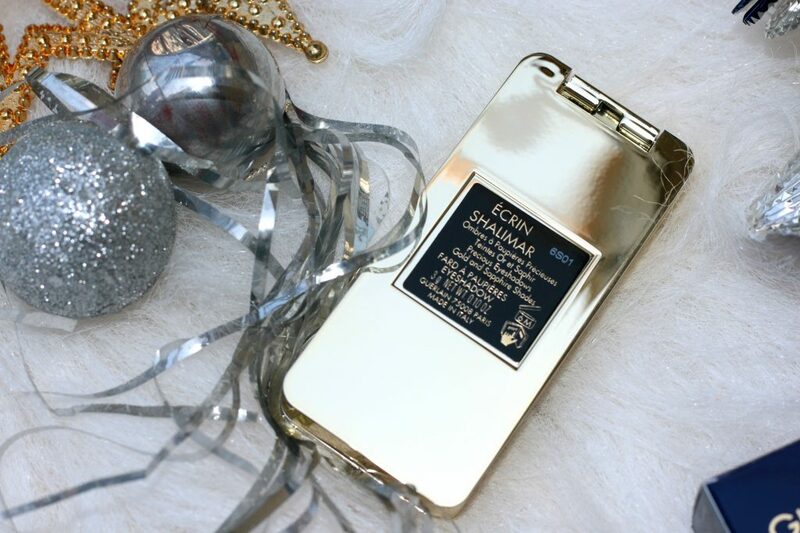 The packaging that reminds me of a bar of gold! How stunning! 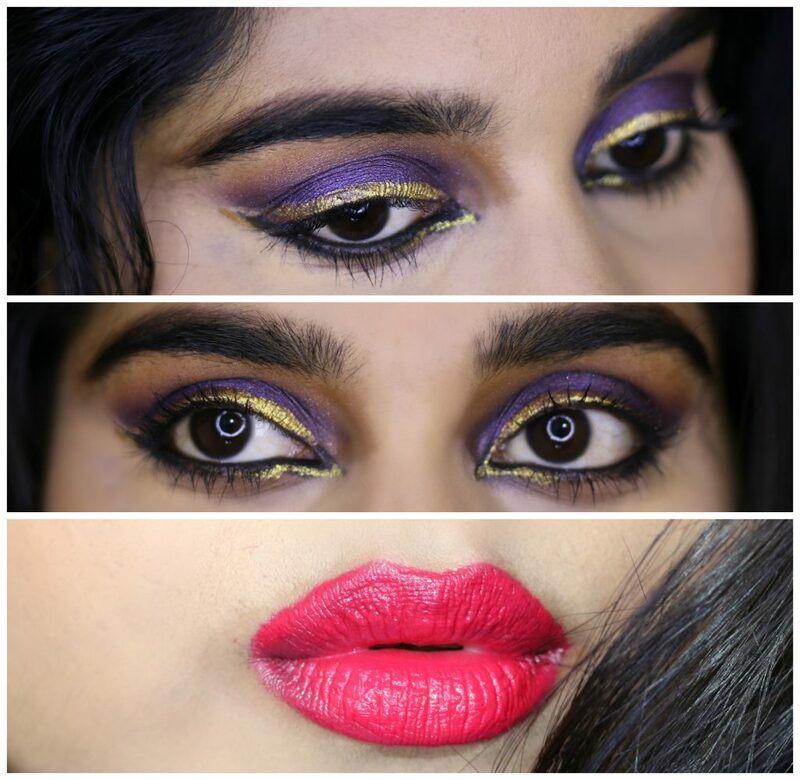 Duo of precious shades to adorn the eyes. 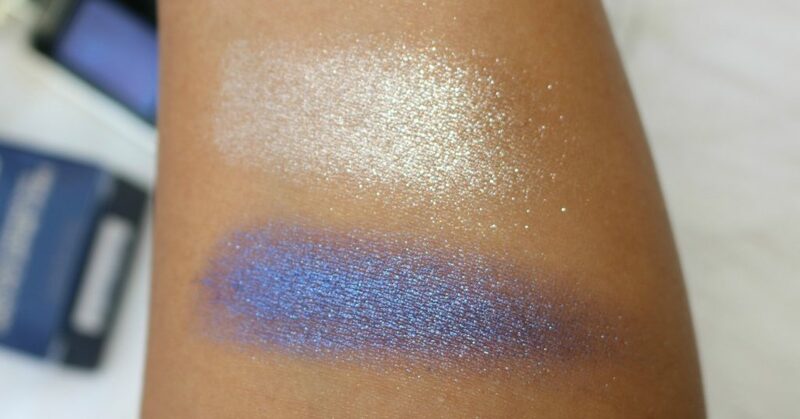 Applied together or separately, these ultra-pigmented and metallic gold and sapphire blue shades will dress your lids like a jewel for your eyes. 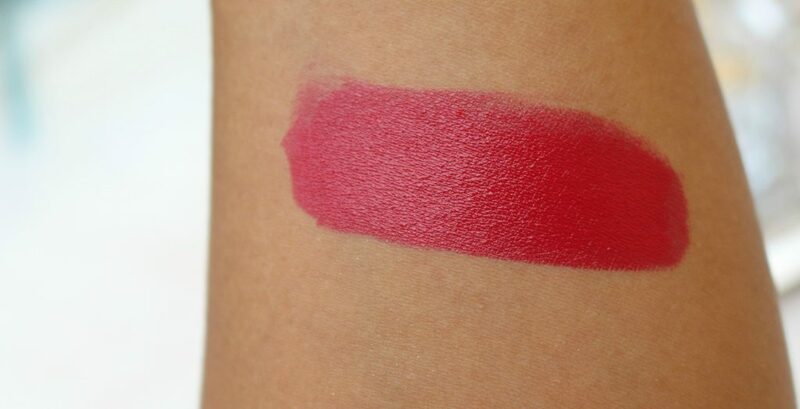 The formula is so nicely pigmented – you’ll get great color payoff with a sheer wash as well as with a more intense application. I used it both wet and dry and the results are stunning. I love the lasting power of this. There is no fall out. Doesn’t crease etc. 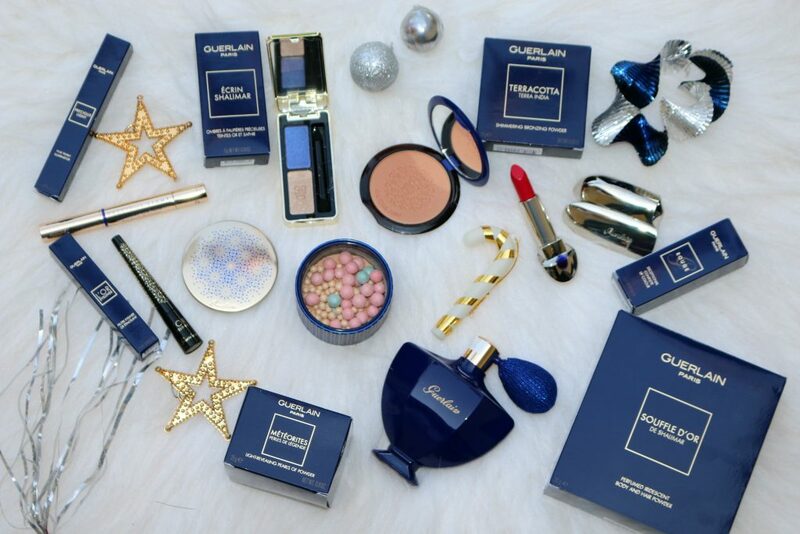 Love the festive colors and the fabulous packaging. 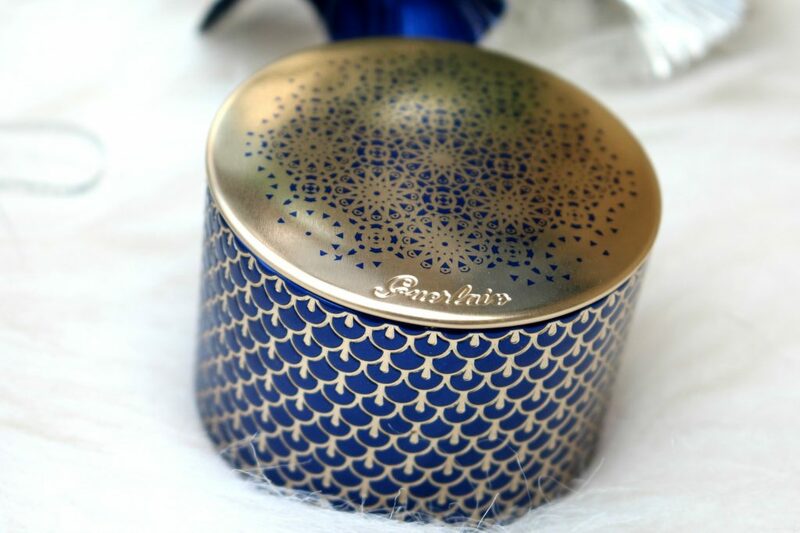 Packaging is sturdy, quite compact, has an applicator with sponge tip. 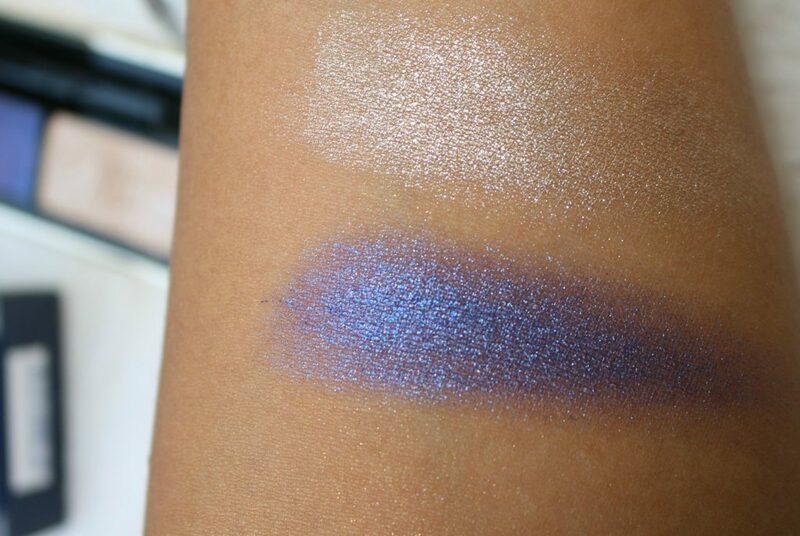 Both shades are shimmery. Formula & texture of the lilac/purple shade was little bit dry, slightly gritty in texture, and extremely difficult to blend, I applied it first using my fingers and then build the color. It was little difficult to blend. while the gold shade was very soft and blended easily, more easier to work with. 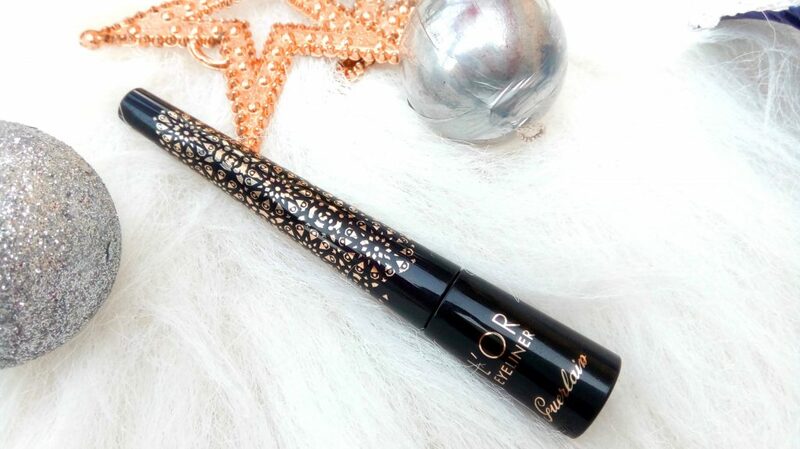 Eyeliner with golden sparkles for a radiant and vibrant eye look. 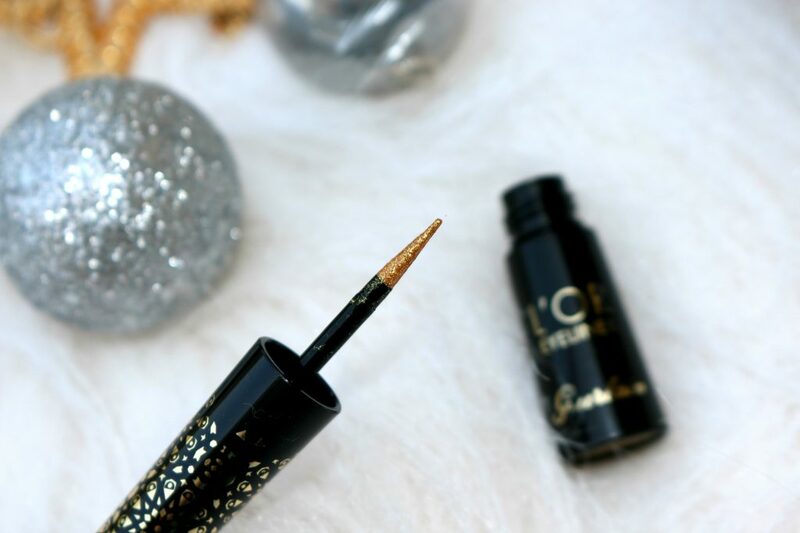 This ultra-precise eyeliner combines a silky formula, saturated with pigments and gold shimmer with a thin bristle brush for a perfect shimmery look. I have never had a gold eyeliner. 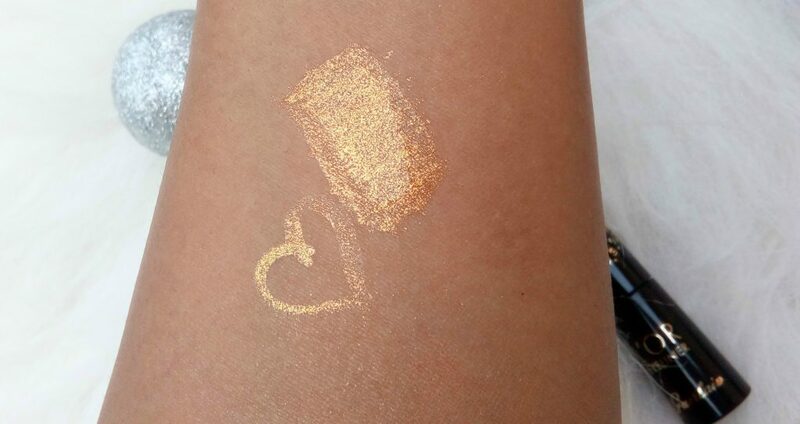 This is my first gold eyeliner and it’s really special. Look at hw simple the packaging is. 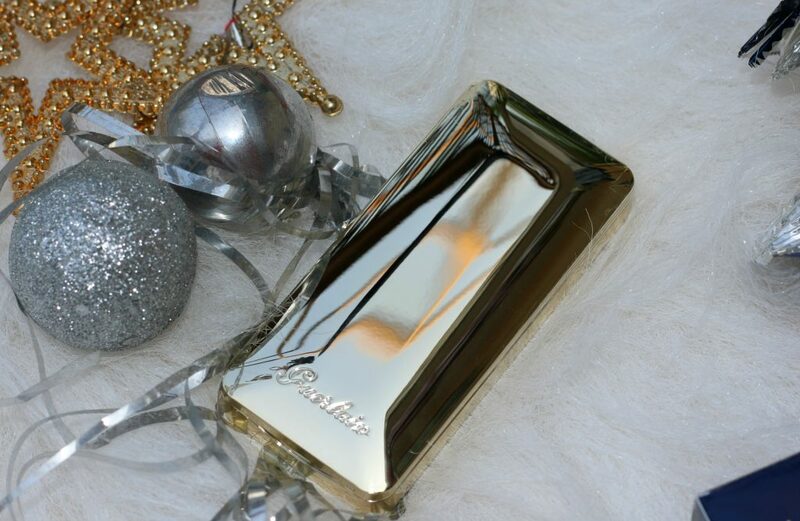 The outer packaging makes it festive ready. 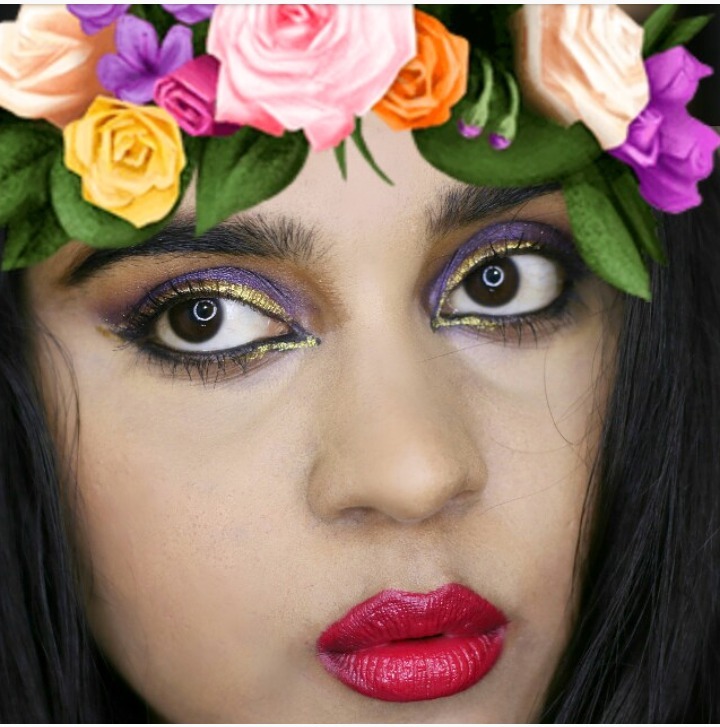 From the most subtle to the most graphic look, the eyes are instantly highlighted, vibrant and impactful, to shine during the end-of-year festivities. 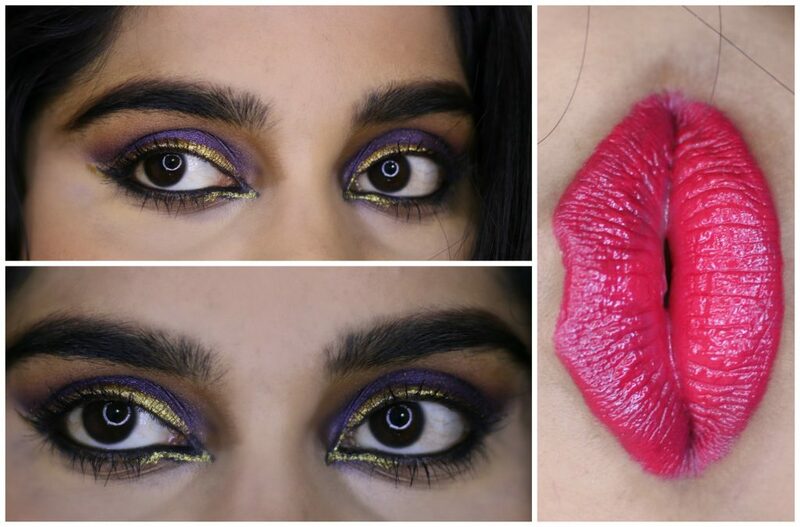 Adorn your eyes with gold like a real Indian princess. 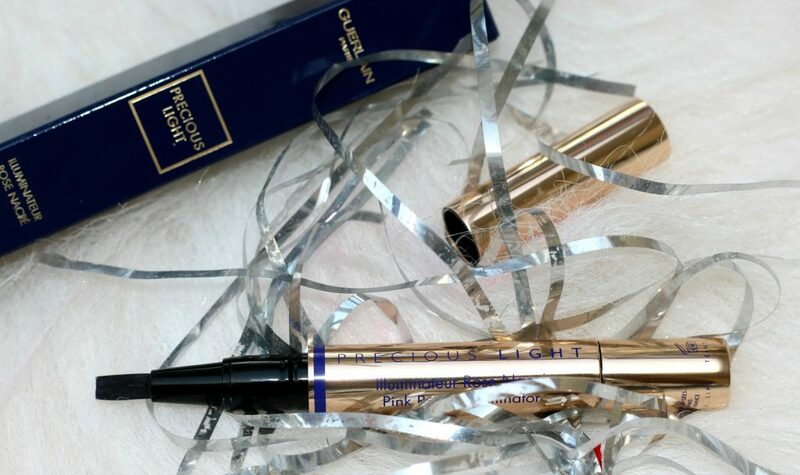 For a radiant look – draw a thin, discreet line along the lashline. 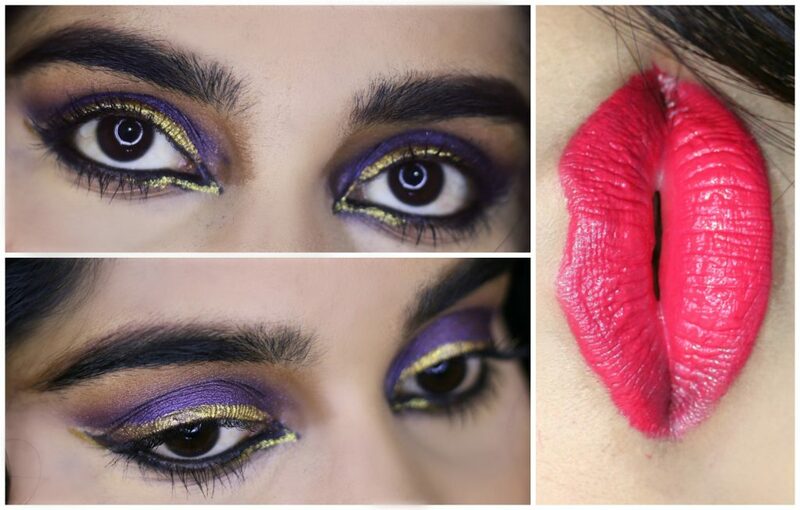 For a graphic look – reshape your eyes with a thicker and more dramatic line, adjusting it according to your wishes. 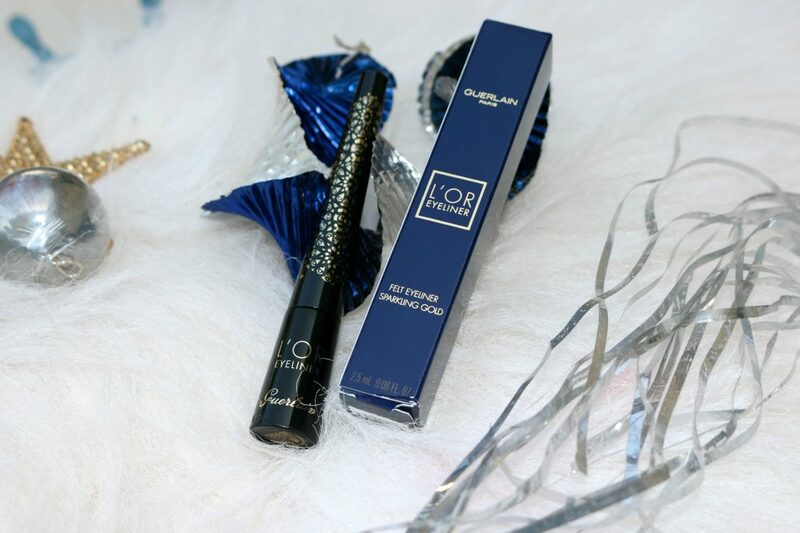 For a highlighting touch – apply the eyeliner in the inner corner of the eyes. 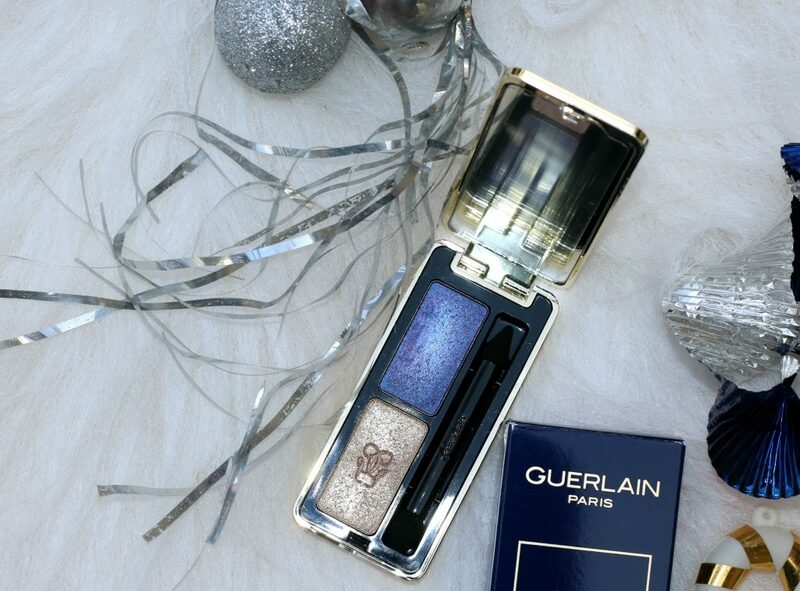 Guerlain creates in partnership with Natalia Vodianova, an exclusive shade of the Precious Light illuminator for Christmas : your anti-dullness weapon, the best tool for perfect strobing! 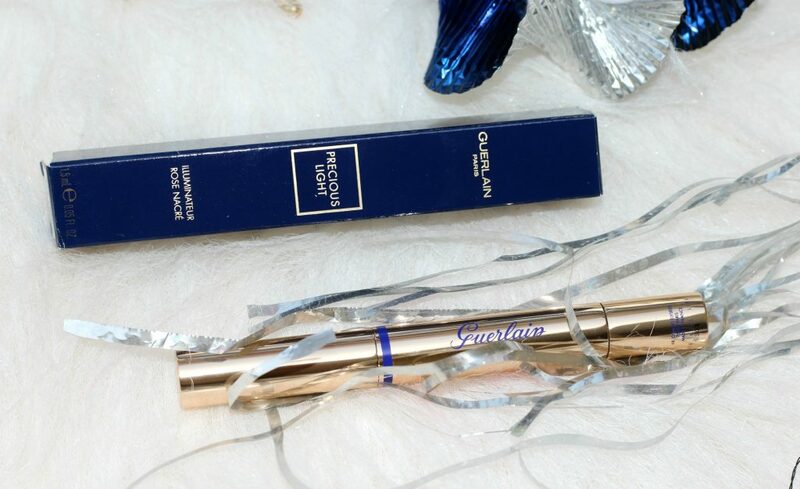 Matching every skintone, the Precious light pen illuminator from Guerlain, infused with subtle rosy micro-nacres, reflects light and instantly illuminates the complexion. 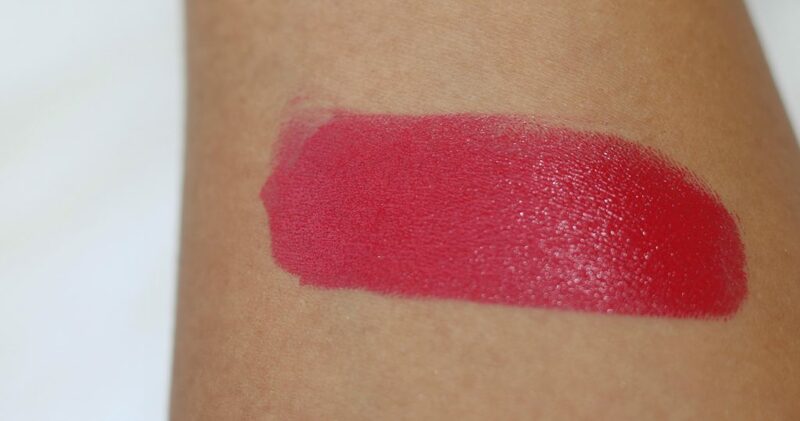 Applied on top of make-up, the face is brightened with subtle pearly pink reflections with a few brush strokes. The brush on applicator makes it easier to work with. 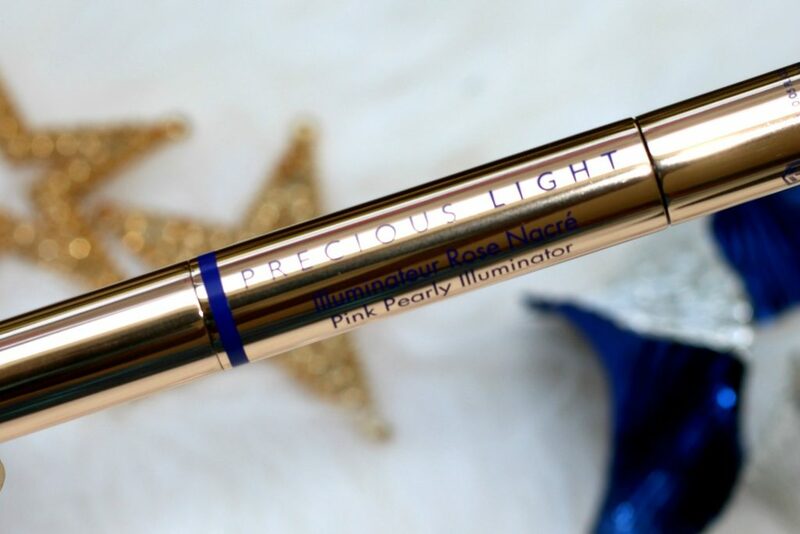 Apply the Precious Light illuminator pen on top of make-up to brighten and sculpt the face in a few brush strokes: blend the texture into the cheekbones, under the brow bone, and the entire T-zone of the face (nose, Cupid’s bow and chin). 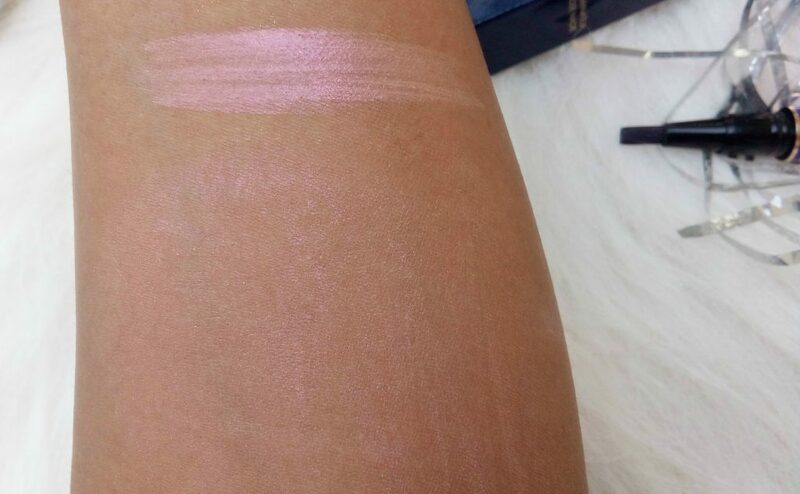 I love the pink shade and the pearly finish it has. 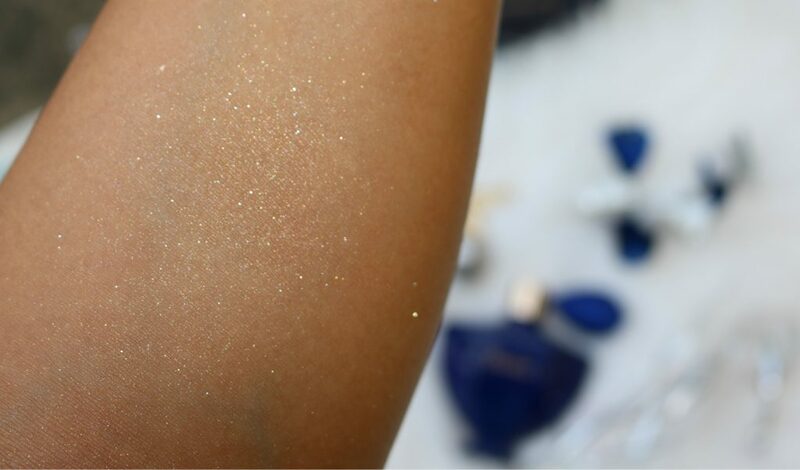 There are no chunky glitters that makes it awesome. 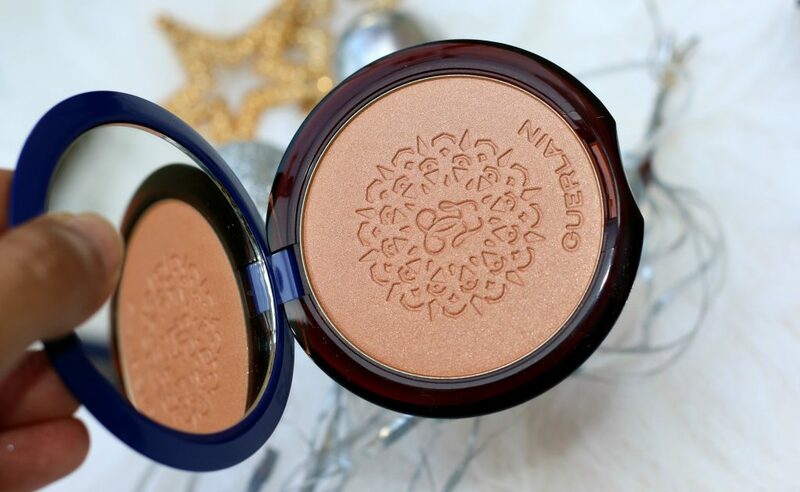 A buildable bronzing powder in an exclusive, shimmery shade that gives the skin an instant, natural-looking, glittering glow. 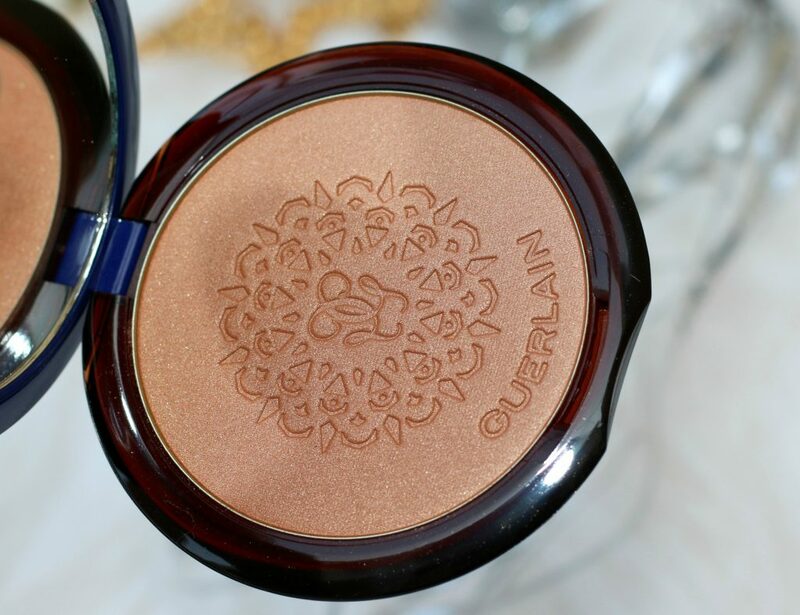 Terracotta Terra India Shimmering Bronzing Powder recreates the golden and amber effects of the sun, leaving skin with a natural bronzed glow. 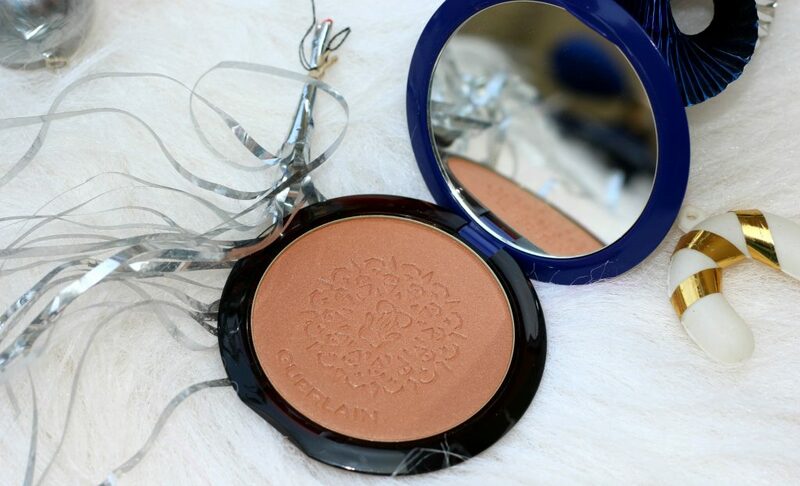 Enriched with moisturizing ingredients, the bronzing powder does not dry out the skin and provides a flawless tan. It illuminates the face in just a few brush strokes, combining the sensuality of a natural tan with the radiance of a golden complexion. 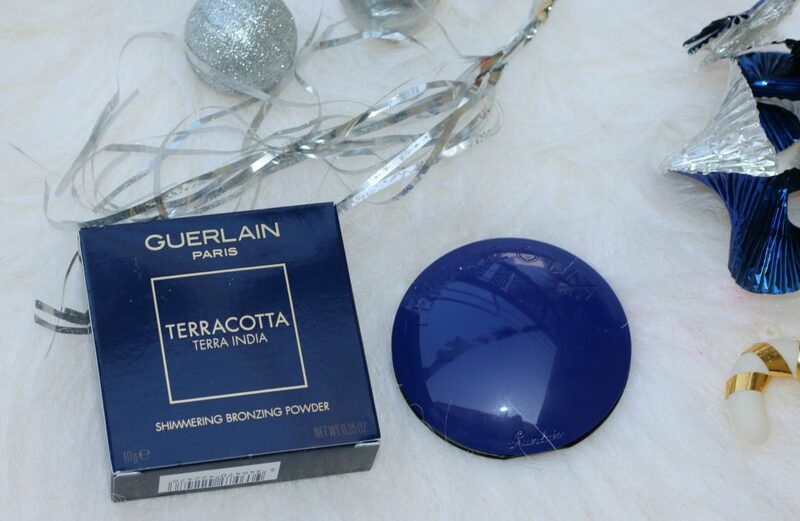 Specifically for this limited edition, Terracotta Terra India has an exclusive compacting inspired by Indian drawings and is nestled inside a new blue case. 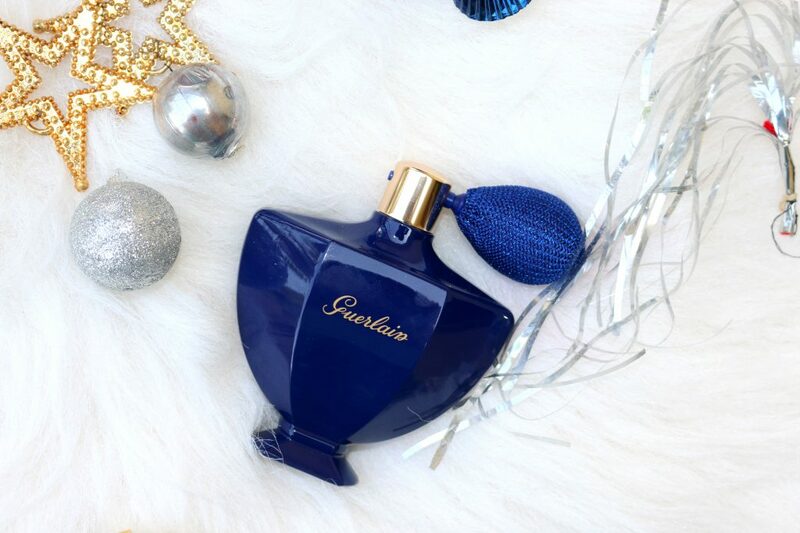 Such a beauty from the house of Guerlain. 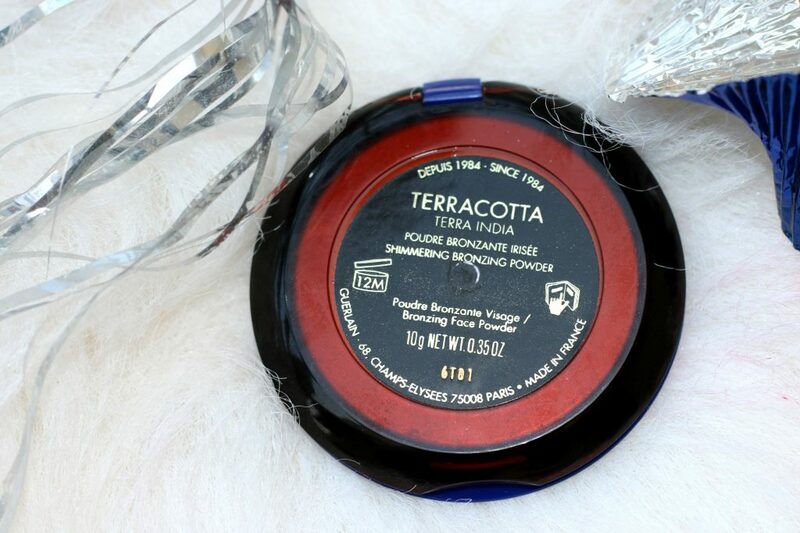 Terracotta Terra India Shimmering Bronzing Powder is a medium, brown with warm undertones and fine, golden shimmer. 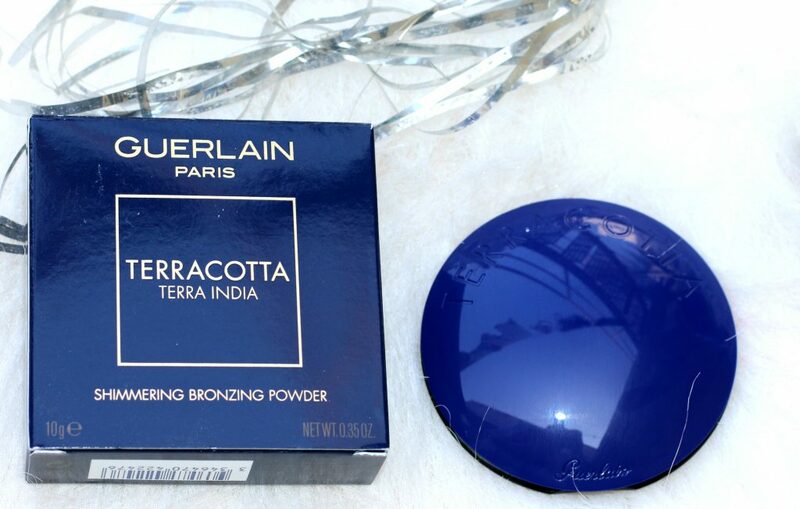 This shade gives that “illuminated” effect” on your face, It’s scented with the brand’s Shalimar scent. 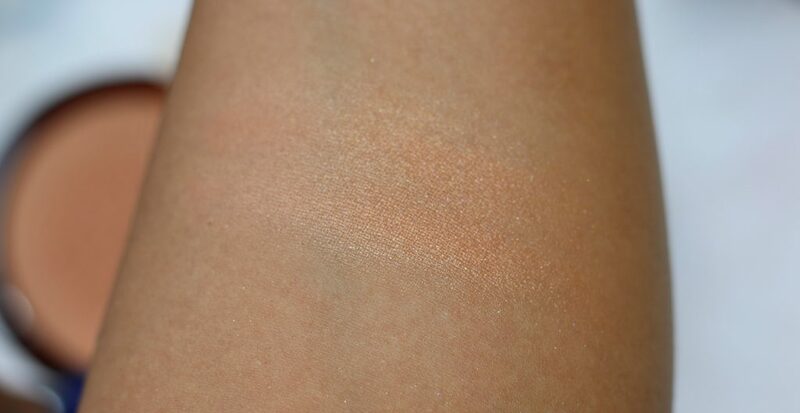 The consistency is soft, easily blendable and gives a warm glow to skin, The finish looked very natural and luminous. 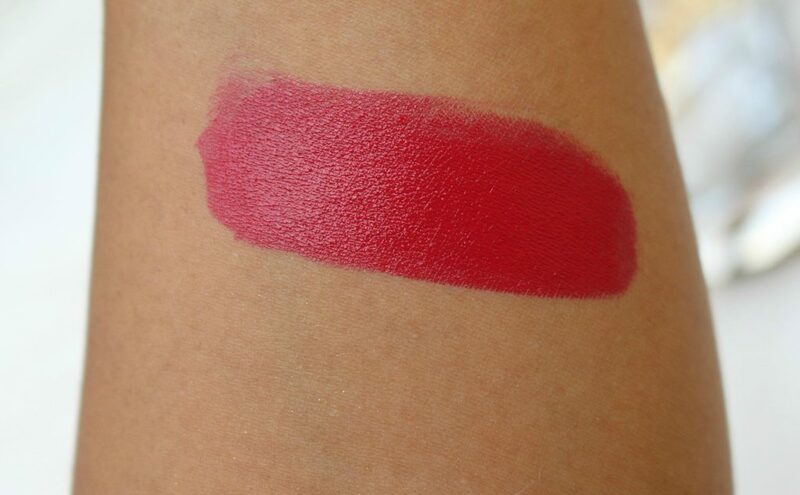 I wore this shade for more than 8 hours without fading. 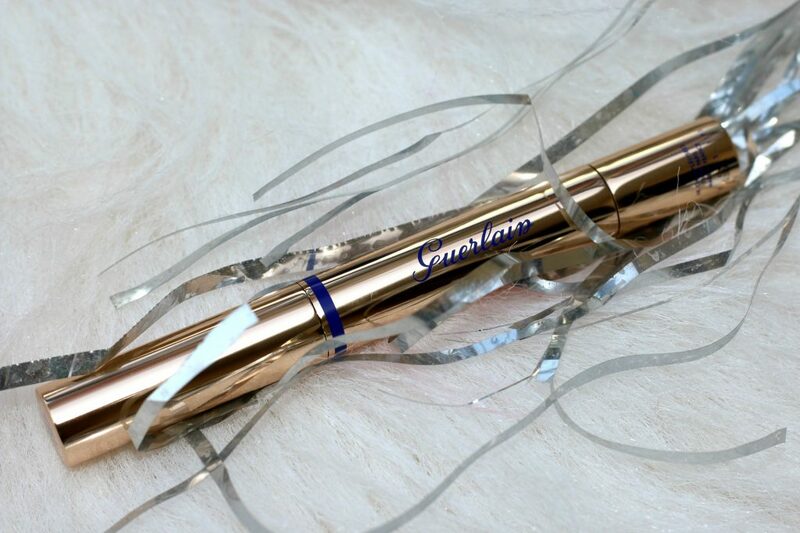 For a natural-looking, sunkissed glow – try the Guerlain secret: trace a “3” on the skin. 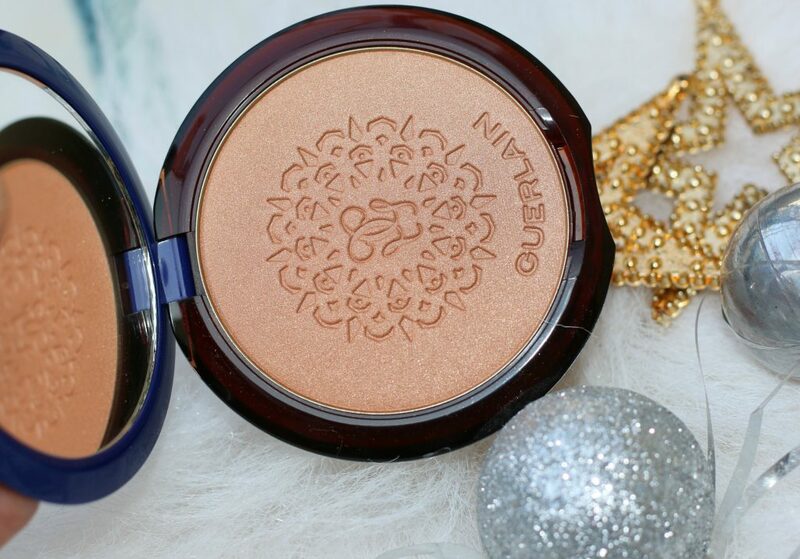 Apply the bronzing powder with a brush to the raised areas of the face by drawing a figure “3” on each side, from the forehead to the cheekbones. From the cheekbones to the chin, finish off with a stroke down the neck. 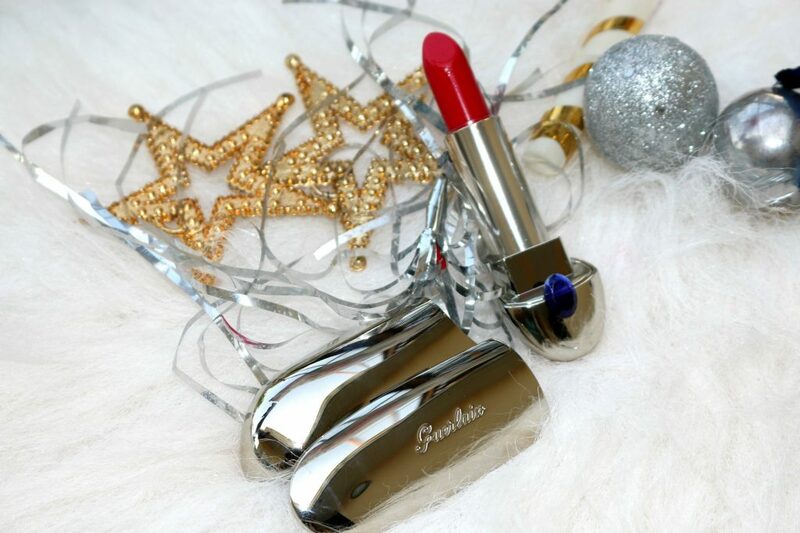 Guerlain creates in partnership with Natalia Vodianova, an exclusive shade of Rouge G lipstick for Christmas. 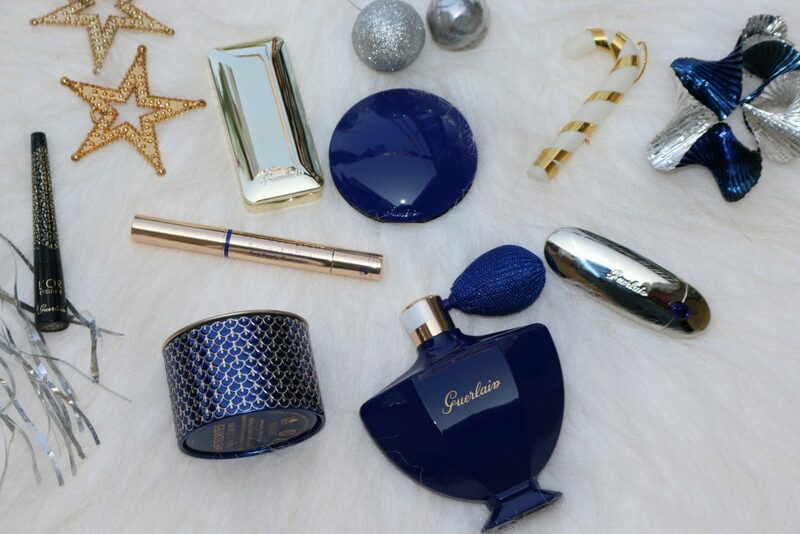 In collaboration with Olivier Echaudemaison, Creative Director of Guerlain, she has created her own make-up collection designed like a journey into the heart of the East and has transformed the Rouge G by Guerlain into an Indian jewel with its precious blue bead, like a sapphire. The unique texture combines hyaluronic acid spheres for perfectly smoothed lips and wild mango butter for lasting hydration. 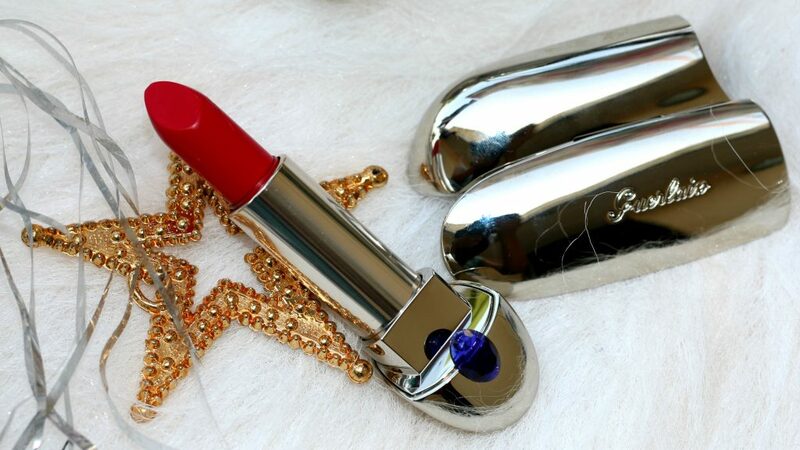 And exclusively, the deep ruby red shade of Rouge G is reminiscent of the “”Bindi””, a red dot applied by Indian women between the eyes. If you’ve made it till this last paragraph Yay!! Hi5, Thanks for sticking by this post <3 <3 . I couldn’t help posting this without the pictures. 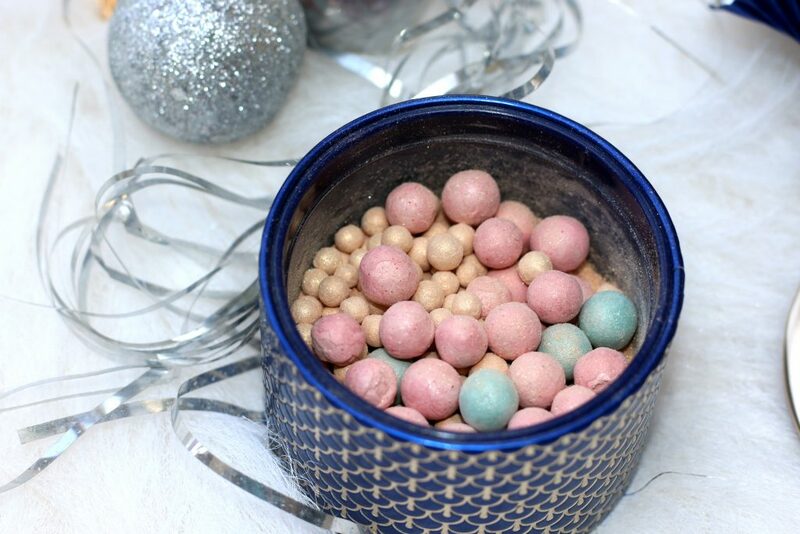 These are so so adorable and such gorgeous looking products in real! 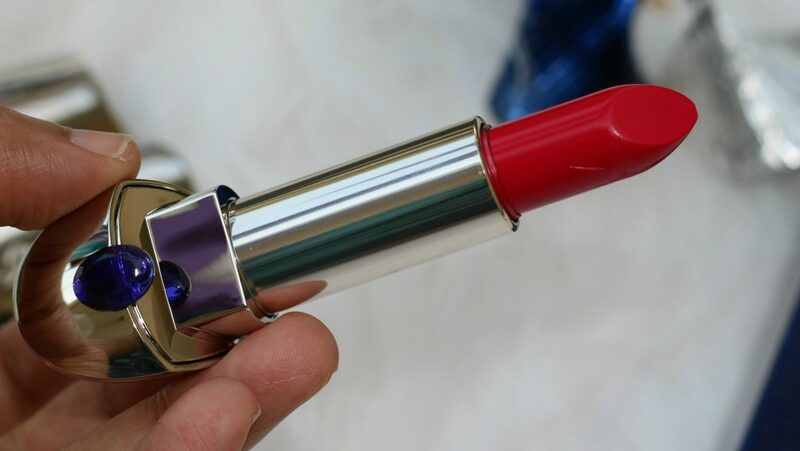 Now, I know what luxury makeup should look like! 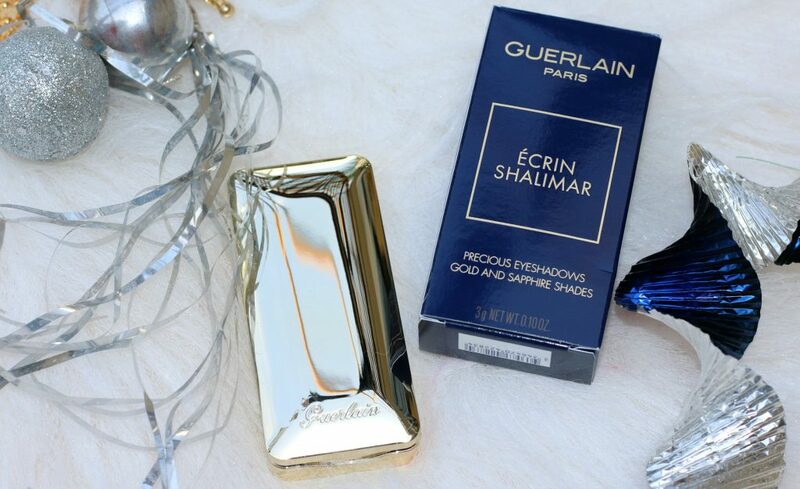 Guerlain is a luxury brand and they have once again raised the bar with the Shalimar Collection. The origin of Shalimar pay tribute to the epic love story behind one of the 7 wonders of the world, Taj Mahal. Shah Jahan created a glorious, lavish monument to honor his wife Mumtaz Mahal. Shalimar Holiday 2016 has been beautifully curated, I agree prices are on the higher side. But, Trust me – It’s totally worth it. Owning these master pieces collection are such a beautiful gift you can give to your loved ones in this season of gifting and joy. 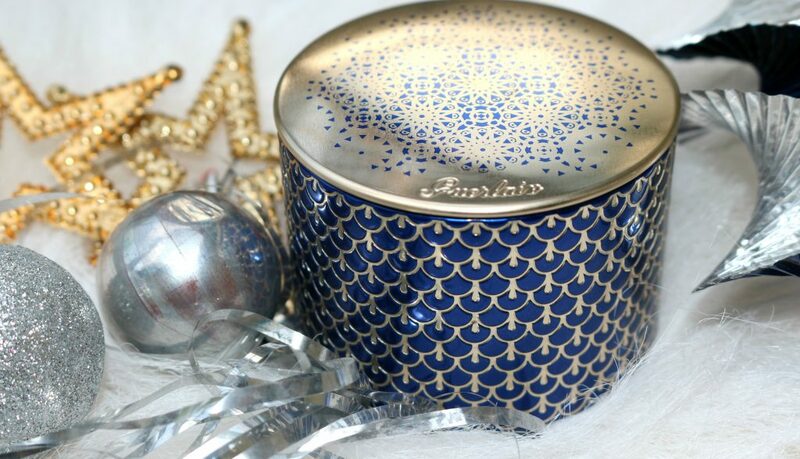 This is a very beautiful item to keep on your vanity and gift to someone you really really love. Let me confess – Such a stunning collection – Both in terms of packaging and quality. I have never had anything like this before. 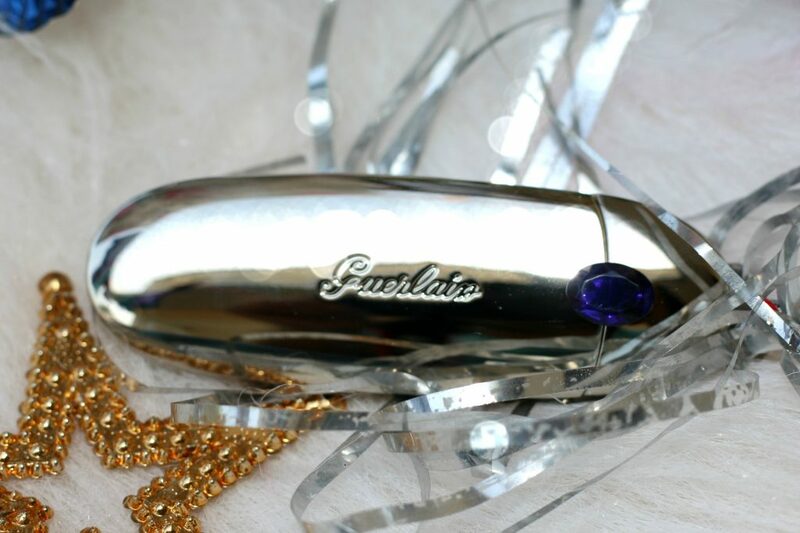 Météorites from Guerlain was always first in my wishlist. Now, I can tick it off! 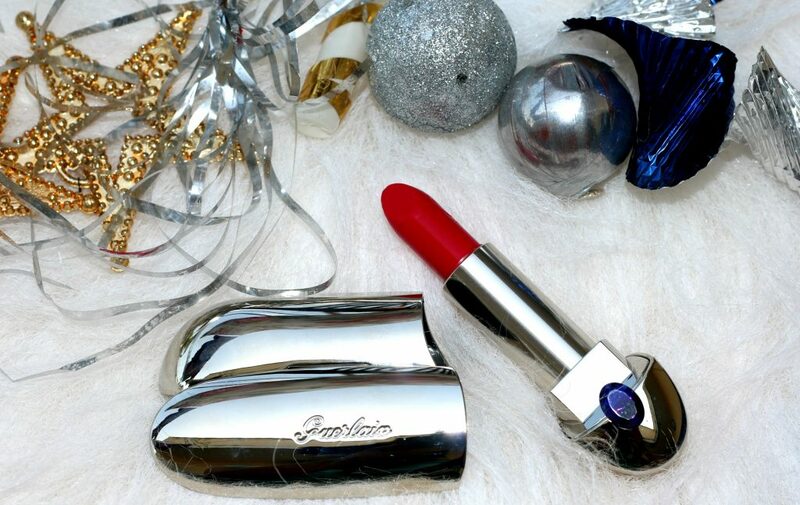 With the Xmas season and holidays, any of these would be a stunning luxury stocking stuffer for the beauty-lover you love! 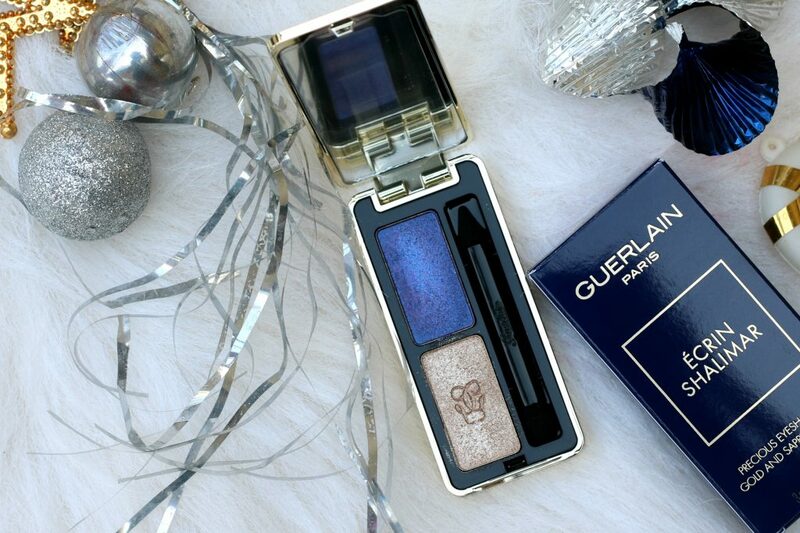 The Guerlain Shalimar Holiday 2016 Makeup Collection by Natalia Vodianova is available at Guerlain Boutiques, online at Guerlain, and select store and online location at Nordstrom, Sephora, Saks Fifth Avenue, Neiman Marcus, Bloomingdales, Bergdorf Goodman and Dillard’s. This is a limited edition collection. 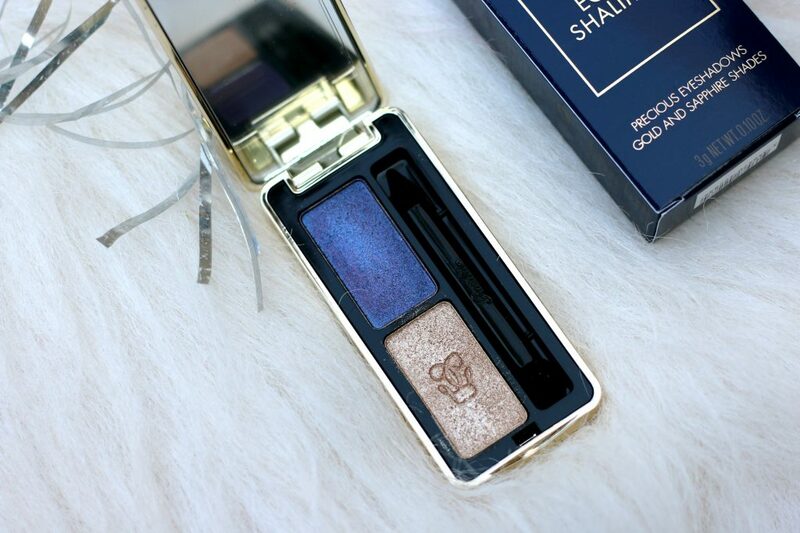 Im loving the look of the Shalimar eyeshadow palette the most. Gold and Sapphire are so rich.